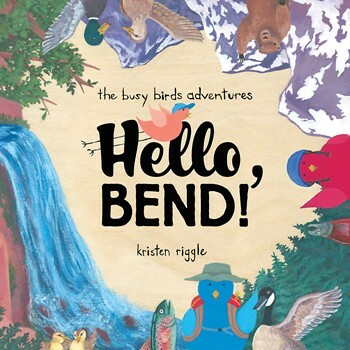 Last year, Bend-based author Kristen Riggle released her locally focused book, "Little Bird Explores Bend," introducing young readers to some of the animals and geography of the region. Now, the author has launched a Kickstarter campaign to produce her newest book, "Hello, Bend!" geared toward a younger set, children age 0 to 3. Riggle says she conceived of her latest Bend-inspired board book after hearing feedback from parents who thought their youngest kids weren't quite old enough for the first "Little Bird" book quite yet. The Kickstarter campaign started in mid-February. 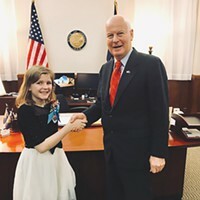 People can find the campaign by searching "Hello Bend book" at Kickstarter.com. Parents of young children already know there's a huge shortage of child care options in Central Oregon. The entire state faces this problem, too—one that affects parents' ability to work, and affects employers' ability to find and keep staff. Now, the State of Oregon's Early Learning Division is launching a pilot program to help. The ELD put a call out to the 13 Child Care Resource and Referral Agencies in Oregon, and selected three to take part in the pilot, titled "Baby Promise." 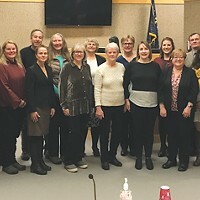 ELD chose NeighborImpact Child Care Resources—which serves Crook, Deschutes and Jefferson counties, as well as the Confederated Tribes of Warm Springs—as one of the three agencies to launch the program. The pilot program will offer fully funded "quality child care" for up to one year for 109 kids ages 6 weeks to age 3 in the tri-county area. Families involved in the program will be able to work with a host of child care providers in the region. To qualify, families should be at or below 185 percent of the federal poverty level. 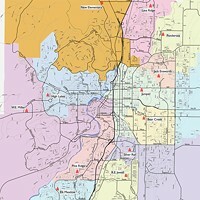 Information about NeighborImpact is available at neighborimpact.org. Teens in crisis have a resource to talk to other teens when they're experiencing any issues that may be bothering them. The YouthLine, organized by Lines for Life, is staffed by teens from 4pm to 10pm every day (and staffed by adults at all other times). Teens can call 877.968.8491, text 839863, email youthL@linesforlife.org or chat by visiting oregonyouthline.org. A report released by the Oregon Department of Education in January shows the student graduation rate for Bend-La Pine Schools marking an all-time high for the percentage of students graduating on time. The rate of students earning a diploma on time improved by more than 10 percentage points in the last six years alone—up from 68.2 percent in 2011 to 78.7 percent for the 2016-2017 school year. Bend-La Pine Schools' student graduation rate continues to outpace the state graduation average. Across the state, Oregon students' on-time graduation rate was 76.7 percent. The graduation rate tracks students beginning in ninth grade and measures how many of those students graduate within four years. 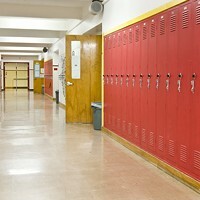 The rate is adjusted for students moving in or out of the district. High school graduation rates for the Jefferson County School District show students also making significant improvements. While the district's graduation performance has been improving over the past two years, 2017 showed a 12 percentage-point increase over 2016, moving from 60 to 72 percent for students graduating in four years. Madras High School increased to 78 percent, not including graduation rates for the new Bridges High School which opened in September of 2016. "We are extremely proud to see the results of the hard work and focus from Madras High School staff and students," said Jefferson County's Superintendent Ken Parshall. "This didn't happen overnight. Our team has been working to engage students at a deeper level and provide them with the support they need to be successful in school, graduate and explore college and careers."